As part of the Metro Manila Film Fest entry My Little Bossings, Aiza Seguerra said she feels lucky to once again be included in one of Vic Sotto’s projects. “It feels good. Kasama yung movie namin ni Tito Vic so I’m happy. I play the character of Ice who is tasked to take care of Ryzza Mae. Isa akong tao na hindi marunong sa bata na biglang kailangan matuto,” she explained. Aiza said working with new child stars Bimby Aquino-Yap and Ryzza Mae Dizon was a different kind of challenge for her, but she welcomed the experience being a former child star herself. “Nakakatuwa, it’s a different feeling. Yun pala yung pakiramdam. Yung sarili ko dati well yeah, nakikita ko kay Ryzza Mae especially. May bonding din sila ni Tito Vic so ganun din. Sa set namin talagang ito hindi mo puwedeng masyadong seryosohin, kailangan you can find a way to make them feel that they’re still playing kung ‘di, ma-bo-bore sila, things like that,” she admitted. With Vic Sotto as one of her earliest mentors in the industry, Aiza said that things are still the same when it comes to their close relationship. “It hasn’t changed much. It’s still the same pero siguro ngayon mas mature na rin ako ng konti, konti lang (laughs). Mas maganda yung batuhan namin pero in terms of yung gaang ng loob and everything, it still feels like before,” she said. The 30-year-old actress said that she hopes fans will enjoy a different kind of comedy from her this year. “Siguro this is a different movie compared to the previous ones like Enteng. Comedy pa rin siya but it’s comedy na may puso, hindi siya yung typical na napanuod nila before so yun na lang,” she said. As one of the most popular projects in this year’s MMFF, Aiza said she does not feel pressure for their movie to be a top-grosser. “Well I’m not a producer so I wouldn’t know. I focus on the acting. I focus on the production namin,” she added. As part of the cast of the hit Kapamilya series Be Careful with My Heart, Aiza said loyal fans of the show can expect more surprises in their storyline. “I really can’t say much dahil hindi ko rin alam (laughs). Our script comes every week. Kumbaga hanggang ngayon surprise pa rin,” she admitted. 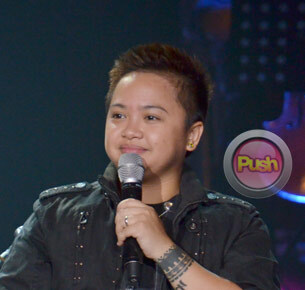 Aiza said she also hopes to find time to focus on her music in 2014. “Hopefully by next year makagawa na talaga ng album. Medyo this year natigil because of Be Careful With My Heart, sobrang yung schedule talaga namin siksikan. Hopefully masingit namin,” she said.